Eric Rimm, anti-fun, professor in the departments of epidemiology and nutrition at the Harvard T. H. Chan School of Public Health says the “ideal” serving size of french fries, the delicious fried potato sticks that bring joy to billions of people, is only six. How many french fries is that? Well if you had six fingers you could count them on one hand. And why does Eric thing we should only eat six french fries per serving? Because he just can’t let people enjoy things they like and a study found that people who eat french fries two to three times a week have an increased risk of obesity, diabetes, cardiovascular disease and an early death. Not all experts think you should only eat six french fries per serving. Dietitian Elaine Magee says, “Anything can be eaten healthfully if it’s eaten mindfully. 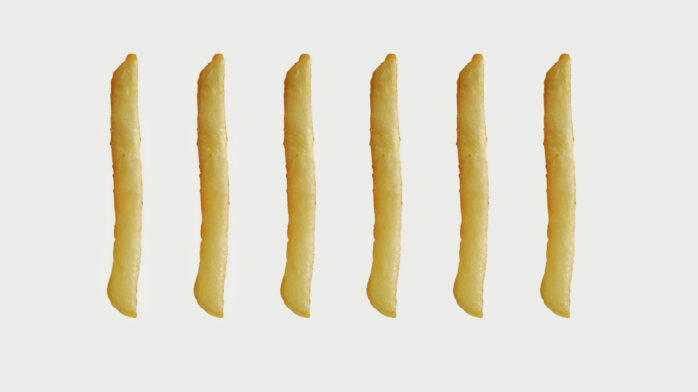 If you eat French fries that way, you will probably be satisfied with 10.” Wow. Let’s get crazy. Ten whole french fries. If my only choices are six french fries or an early death, I’m taking early death every time. Sorry, Eric.